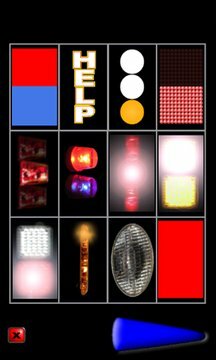 Police lights and fire truck lights and emergency sirens along with various custom alerts. Emergency alarms, alerts and sirens. 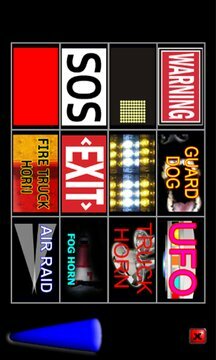 Various sound and visual effect such as SOS signal, truck air horn, fog horn, air raid sound, exit sign, fire truck and emergency vehicle alerts. Use for real emergency or use as joke. Simulates realistic police car light when shined at night on walls, buildings or behind your friends.